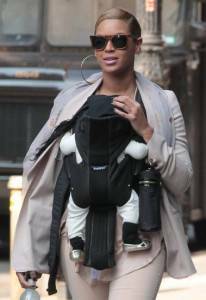 Haute 100 lister Beyoncé Knowles and baby Blue Carter have been out and about in NYC. Yesterday they stepped out in matching shoes. Last week they visited Brooklyn’s Prospect Park with Beyoncé’s mom Tina Knowles.